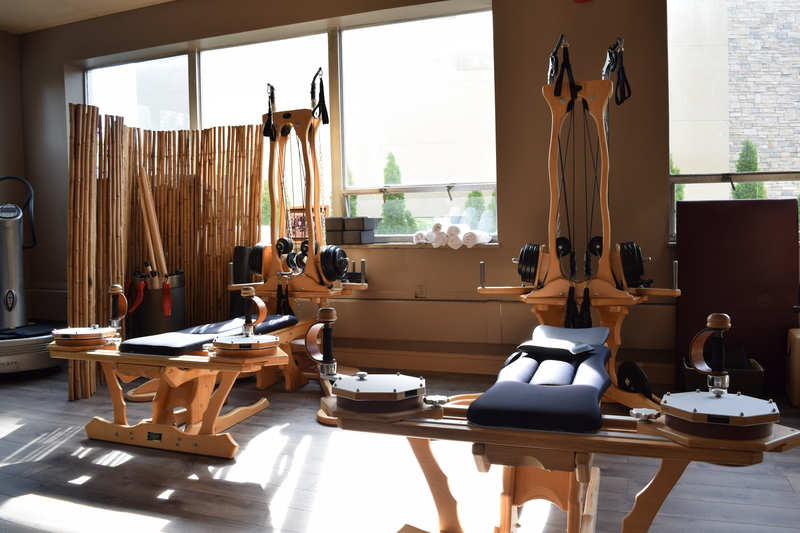 Unique to our service is the Art of Exercising and Beyond – THE GYROTONIC METHOD®. 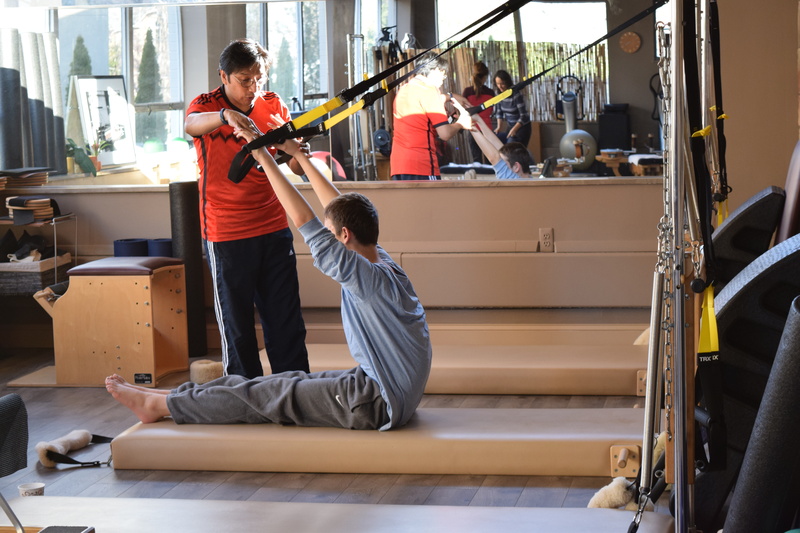 This is a complimentary exercise method that falls under one umbrella- the GYROTONIC EXPANSION SYSTEM® developed by Juliu Horvath, an ethnic Hungarian, professional dancer from Romania who suffered debilitating injuries and wanted to revive strength and agility. These exercise sequences are composed of spiraling, circular movements, which flow together seamlessly in rhythmic repetitions, with corresponding breathing. Each movement flows into the next, allowing the joints to move through a natural range of motion without jarring or compression. These carefully crafted sequences create balance, efficiency, strength and flexibility. The spine is able to stretch freely over the ribs releasing blockages in the dural port pumping vitality from sacrum to cranium. This is based on extensive research in dural port therapy (DPT), a chiropractic procedure that can be used effectively with Sacro-Occipital Technique (SOT) procedures that uses the sacrum as a pump to influence and balance the spine and cranium by way of the meningeal system. Private instruction available in one-hour sessions. Some use these sessions as restorative or core specific. Many have a standing appointment to rejuvenate the physical-mental awareness 2-3 times each week. Upon the beginning of mastery Semi-Private sessions are available. leveraging gravity to perform strength and balance exercises. You’re in control of how much you want to challenge yourself on each exercise because you can adjust your body position to add or decrease resistance. This simple system benefits people of all fitness levels whether you are a pro-athlete building a rock solid core or an aging adult maintaining and enhancing balance and stability. – both intense strength training and restorative re-balancing. All exercises are performed in what is called an “unstable” environment.